Today, MeazureUp would like to officially announce that Georgia based Johnny’s New York Style Pizza has joined their growing roster of clients using their platform for auditing. With 65 locations in the United States, Johnny’s selected to go with MeazureUp, the leader in Restaurant Quality Assessment Analytics to assist with location consistency and operations management. The team at Johnny’s uses high quality ingredients sourced from all across the US to deliver a great tasting and superior end product. With a loyal base of returning customers, each patron knows what to expect when arriving at one of the many Johnny’s locations. For Luke and his team, using the MeazureUp solution will provide them and their franchisees with the tools they need to make more informed and stronger operational decisions. They can now collect data, add pictures, comments and action plans to their operational assessments using tablets equipped with the MeazureUp application. Once an assessment is complete, an email will be automatically sent to all relevant stakeholders, summarizing the data in a concise snapshot. From here, management will utilize the MeazureUp Business Intelligence Center to view, in real time, the full analysis and breakdown from each assessment all from one place. Without any additional time or work spent, management can now see aggregated information about each store. MeazureUp is looking forward to working with the outstanding Johnny’s team. Welcome Johnny’s to the MeazureUp Team! 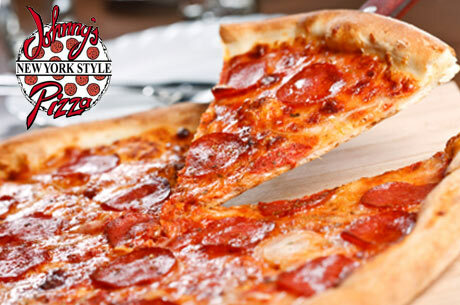 Johnny’s New York Style Pizza started in 1965 in Manlius, NY. Between 1984 and 1994, more licensed locations were opened in the Atlanta area and Franchising the business began in 1994. Johnny’s Pizza has since spread across the state of Georgia from Columbus to Cartersville, Douglas to Dawsonville, Carrollton to Covington and everywhere in between. In 2003, Johnny Brusco’s New York Style Pizza was created for franchises outside the state of Georgia. Since 2003, Johnny Brusco’s has grown to 7 states across the Southeast. For information on opening a Johnny’s Pizza in Georgia, please click here! Or for information on opening a Johnny Bruscos outside the state of Georgia, please click here!